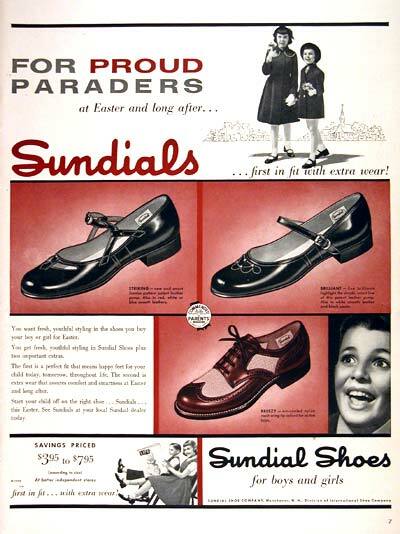 1954 Sundial Shoes for Boys & Girls original vintage advertisement. Illustrated with photos in one tone color. Priced from $3.95 to $7.95.